Have you tried to ship something lately? If so, you know how expensive the shipping is these days. Even the cost of the most basic shipping is not cheap by any means. Then when you factor in additional costs such as packaging materials and any extras like tracking, it really adds up! It makes it hard for individuals so sell things on services such as eBay because the shipping costs take a huge chunk out of any profits made. Just today I had a package to ship for a pair of shoes I sold on eBay. The box was pretty big, but nothing unreasonable. I went with Fedex because I like their service and location. I have tried other carriers as well such as USPS and UPS but right now I like Fedex. I needed to get the packaging materials there so that increased the cost. I know you can probably get the materials cheaper elsewhere, but then you have another trip and you will probably end up with extra materials you don't need. So I go to check out and the cost for basic ground shipping and materials for a domestic shipment was almost $30! That is a lot of money to ship a pair of shoes worth only about $60. The shipping cost was about $15 and the box and packaging service was about $13. I checked the receipt and everything looked ok. I tried to double check the cost on the website but it was not very clear and they said how prices in store may vary from the quotes on the website. I find it odd how so many businesses can offer free shipping with these kinds of fees. I'm sure the businesses get a bulk rate deal, but still it is expensive. 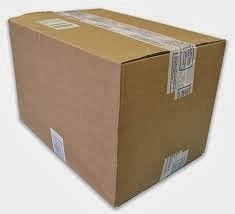 It is discouraging to try to sell anything where shipping is involved unless it is a high value item that is small. With the larger, lower value items, it is barely worth the effort for the little profit that is made in the end. If you have any tips on getting a better deal on shipping costs, leave it in the comments below. Update 11-18-15: I have tried a few different options and I have found the best deals tend to be if you use your own box and ship with USPS with the basic shipping option. There are a lot of factors that can effect the price such as weight, size and destination but so far, this seems to be the cheapest option. What Happened to Discovery Zone? 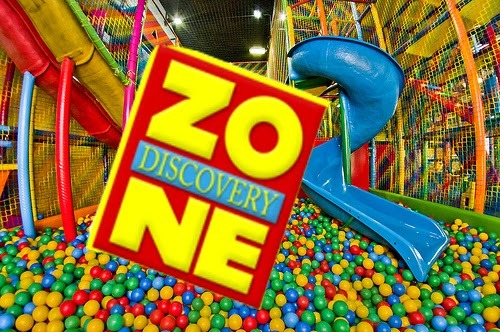 If you were a kid in the 90's chances are you remember Discovery Zone. In case they didn't have them in your area, Discovery Zone was basically one of the most fun places your parents could take you as a kid. They were a huge indoor play place with things to climb on, jump on, slide down, crawl through... pretty much an amazing indoor playground. Many kids had their birthday parties there. It was kind of like Chuck E Cheese but with more of the active stuff and not as many games. Nowadays, they are nowhere to be found, so what happened? According to the Wikipedia page, the company went into debt and eventually had to close and file bankruptcy. The chain lasted about 6 or 7 years. I was very surprised when I read this. How could a place like this not make it? Kids loved it and so did parents. The kids got to have fun running around while the parents could relax and socialize with other parents and get a break from the kids. Did the company not make enough money? It seems like once the initial cost of the structures and games were covered, it would be highly profitable. You only have to have a minimal staff to run the place and keep it clean. Then you just charge people by the hour to come in and play. How did this not work out? Maybe some poor financial decisions were made which led to the eventual downfall. It also mentions on the Wiki page that many of them were taken over by Chuck E Cheese. Now Chuck E Cheese was also a fun place, but it was not as good as Discovery Zone. I'm surprised that no one has tried to reboot the idea and start a new indoor play place for kids to have fun. With all the new technologies we have these days and the lessons from DZ, it seems like a great idea! Discovery Zone Commercial - DZ Where Kids Wanna Be! If you have ever walked around streets and sidewalks during winter when there is snow, chances are there has been salt put on the ground to help melt the ice. This is great for helping us not slip on ice, but that salt then gets on your boots. No only does it make your boots look messy, but it is also not something you want to leave on there for a long time. This article explains an easy way how to get the salt off of boots. Salt dissolves in water so this is the main ingredient needed to clean the salt off of boots. If your boots are waterproof you can clean them with water right at a sink. Turn the water on just a little bit and carefully drizzle it on the bottoms of the boots where they have salt. Turn the boot around as needed to let the water wash all the parts that have salt. Try not to get it on the upper parts or cloth parts of the inside of the boot. Once you have washed the salt off, you can let them air dry or wipe them with a paper towel or a cloth. After they dry, check to see if all the salt as been removed. If there is any residue left, do one more treatment with the water or use a damp cloth to wipe off the remaining salt. You can also use the damp cloth for cleaning the salt off shoes or other footwear that is not waterproof. This simple procedure will keep your boots looking new and help extend the lifespan of your boots. Every year I watch the Grammys and every year it always just ends up making me mad. It always seems like the wrong artists get recognized for being the best. Why do I continue to watch something that just continues to disappoint you ask? Well, the Grammys are suppose to be the most respected awards show for music and so as a fan of music, I almost feel obligated to watch. 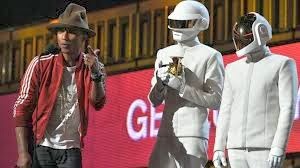 Given how 2013 was a pretty lack luster year for music, I guess it is no surprise that the Grammys were an accurate representation of this. Let's start with some of the main awards. Song of the year went to Lorde for the song Royals. I had heard this song a while back and while it is somewhat easy to listen to, I just felt it was inauthentic and directed at a teen listening demographic. Also it sounds so conventional like 100 other pop songs we have heard before. This is why I was surprised to see it win for song of the year. I would have rather seen some of these songs win. The other 2 big awards for record of the year and album of the year went to Daft Punk. I have never been a fan of these guys. I always found their music to be way too repetitive. I didn't really like the Get Lucky song all that much and from everything I read about the album, it was not very good. So then they end up winning the top 2 music awards of the year? Something is not adding up. I really feel like the robot novelty act has a lot to do with their popularity. The same can be said for similar costumed novelty Deadmau5. Without the costumes, they are just a some regular guys with average sounding music. You know it is a bad year for music when you are rooting for Taylor Swift to win album of the year. You also know it is a bad year for music when your favorite performance was by Keith Urban and you are not a fan of Keith Urban or country music and you have never even heard the song before. On a related note, Pink's aerial act was entertaining, but she has done this several times before so it has kind of lost the appeal. The whole show was over 3.5 hours long. What I find odd is how few awards they actually present. I counted only a handful of awards actually shown while most of the show was devoted to live performances. I guess since it is a music show, they figure people would rather see the artists perform than see them give acceptance speeches. I understand this, but it would be nice to see a few more awards given out. The music educator award was something new they added this year. To me, they should leave this out if they have it at all. There are already awards for teachers. Yes music education is important but the Grammys are not the place to recognize it. Overall quality of music is subjective and everyone has a different opinion on what is good. Because of this, most people will be unhappy with the choices of songs and artists that are considered the best each year. In one of my previous Grammy Awards reviews here on the blog, I mentioned how the show is more about a celebration of music rather than who actually wins. Even though I am continually upset by the winners selection each year, I suppose this is the best way to look at it. 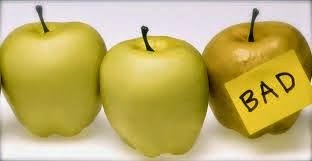 It seems the topic of weight loss is everywhere these days from the news to commercials to food labels. I understand that obesity is a problem and many people are looking for options to lose weight, but there is one group that is ignored here, and that is the people who need to gain weight. Gain weight you say? How is that a problem right? Just eat more, people will say. But the truth is, it is in fact a serious issue for many people who have a hard time getting enough calories and gaining or maintaining a healthy weight. I know about this first hand because it is something I have been struggling with for years. I bring this up because there has always been one part of these health guidelines that has always bugged me, and that is when people try to make calories out to be a bad thing. Just the other day I was watching a talk show and they had a health expert on there teaching people how to eat healthy. The problem was he kept saying how foods were bad because they had a lot of calories and would instead recommend low calorie alternatives. This is ok if you are trying to lose weight, but don't portray calories as something that is bad for you when they are not. Calories are energy and we need to consume them every day to survive. Yes consuming too many is bad for you because it can lead to obesity but if you eat the right amount of calories each day, you will be fine. I wish there was more attention given to the issue of gaining weight. How about some programs teaching people to gain weight in a healthy way by eating foods that are high in calories yet good for you at the same time? Now there are resources for this topic and if you search, they can be easily found. I guess it is not nearly as big an issue as the topic of losing weight so that is why it is not popular. Never the less I just wish people would stop referring to calories as something that is bad for you. Ever since I first discovered music on my parents record player, I have always been very drawn to it. I can still remember listening to the radio, cassettes, and then cds and mp3s as the years went on. I even got into recording and produced my own music. I collected it and still do collect it, but as I get older, I find there is less and less music that interests me. It got me thinking. When you look at who is making music, it is primarily young people. When you look at who is listening to the most music, it is also young people. Not to say there aren't any older people who make music or listen to music. Of course there are because music is timeless, but in general, it is much more popular among the younger generation. Why is this? I have a couple theories. One is that when people are young, they have more free time and less to worry about. This provides them with the time to listen to music and find new bands. As people grow up, they get jobs, have kids, and take on more responsibilities. I think because of this, they don't have as much time to listen to music and stay current with the new songs and new artists. Another theory is that the teen years are very impressionable when it comes to music. The music you hear growing up is "your" music. Even when you get older, you will remember those songs from your youth fondly. You can use it as a way to connect with people your own age who also grew up with those songs. As people get older, they loose this association with current music as it is no longer "their" music, but is now the kids music. One more theory and this is true in my case, but I'm not sure for how many other people out there, and that is that after you have heard so many songs, you have kind of heard it all and it takes a lot more to really impress you. Once you have experienced so many different songs and have heard the best songs over the past 60 years, the average songs that come out each year do not seem that special. You also begin to notice a lot of copying and repetition. How many times have you heard a song in your youth and thought it was original only to find out years later that is was copied from a song that came out 20 or 30 years prior? Artists run out of ideas and begin to recycle the same proven sounds and patterns over again. It's because of these reasons why I think music is a young person's media. It's interesting how similar forms of media such as film and tv don't really follow this same theory. These forms of media seem to keep their popularity among people even as they get older. Whatever the reason, music is universal and something that all ages can appreciate even if it is more popular with the youth. 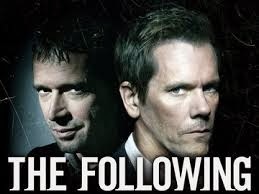 The highly anticipated return of The Following premiered last night at an unusual time. It aired after the football playoff game which happened to be at 9:10pm. I guess they were trying to bring in the viewers of the game, but it seems like it would have been better to start it at a normal time such as 7:00pm or 8:00pm. I loved the last season so of course I was not going to miss it. (Episode 1 spoilers ahead). The show started off by recapping what happened last season. Joe Carrol is declared dead and Ryan and Claire have just been stabbed and left for dead in Ryan's apartment. They manage to get to the hospital but we find out that Claire does not make it. Flash forward to current time a year later. It is the anniversary of the whole Joe Carrol situation. Ryan is trying to put it behind him or at least it appears that way. All of a sudden people who are clearly followers of Joe go on a public killing spree on the subway. This makes the news and gets Ryan's attention. The police go to Ryan for help but he says he cannot help and he is not interested. We later find out that Ryan is in fact very interested and is conducting his own investigation. He tracks down one of the guys involved and figures out that Joe survived and is in hiding. We also see some old familiar faces such as Emma who now has a punk rocker look. A couple of new bad guys are introduced, a pair of twins who have already proven to be terrifyingly creepy. They murder another innocent victim and leave her out in the park for the police to find. Again the police ask Ryan to help but he refuses. For some reason he wants to work alone this time. He knows Joe is still out there and he is going to find him. Overall the episode was pretty good. I was sad to see we lost Claire, but it will serve as good motivation for Ryan this season. With Joe back as well as more followers to join him, this season will pick up right where the last one left off in terms of suspense and creepiness. What did you think of the season premiere? Leave your comments below. There are a lot of bad people in this world. It's a shame because they ruin it for all the good people in the world. I'm not sure if it is subconscious or not, but I go to great lengths to avoid bad people. I even got a job working from home so I don't have to interact with people who are not good. However sometimes it is inevitable. Even in my work from home job I encounter the same type of people I have been trying to avoid. I do an online customer service sales type job where I help customers who have questions about products or purchases. About 90% of the time it is good and the people are there because they genuinely need help and they are grateful of the help they are given. Then there is the other 10%. This is the group that is either just messing around or they are there to cause trouble. In this job the customers are asked to rate their experience when the interaction is completed. You can image the kind of rating you get for the 10% mentioned above, even when you answer all their questions perfectly and are very nice to them. Now I know I should not let this kind of thing effect me. In the big picture it really does not make a difference, but psychologically it still has a negative effect. I have been trying to come up with reasons as to why people are bad and end up like this. I came up with 3 possible reasons. One, they are just young and stupid and don't know any better. They don't realize that by doing something like rating a good customer service experience poorly, it may actually have an effect on someone on the other side. They just see the option presented to them and they just give the bad rating because why not, they can right? Another reason why people can be bad to others is because they themselves are unhappy or are just having a bad day. I'm sure we have all experienced this. If you are in a bad mood, you are not likely to be nice to others at that time. Even when you are exposed to things that are good or you might normally think are ok, you are still likely to have a negative feeling about it. People in this state of mind then take out their anger or frustration on those around them. When they are in this kind of mood and they are dealing with a customer service person they are not going to be happy with anything you tell them and at the end, they are going to leave a poor rating. The third reason I can think of that people are bad is that it is just who they are or who they have become. Maybe they had a poor upbringing. Maybe their quality of life is below average all the time and there is not much to be happy about. Maybe they have had too many bad influences and not enough good influences. These experiences may have formed them into a bad person in general and this is how they reflect back on society. Whatever the reason for people behaving as they do, it still bothers me that bad people exist. Can you imagine how good life would be if there were not people doing the wrong thing and intentionally harming others? The problem clearly exists, so what is the solution? The solution is not an easy one by any means and there is no absolute fix to a problem like this. There is the option for improvement and that would involve setting a good example and somehow influencing these bad people to change their ways and become better human beings. For some they will mature over time and become better people. For others they will need that positive influence in some way shape or form. We can all do our best to be good and always do the right thing and at the same time, encourage others to do the same. Will we ever rid the world of evil completely? No, but we can do our best to make it better. The quote "Don't know what you got, til it's gone" is so true. We do don't realize how good we have things until they are taken away. It can be something so simple that you take for granted like electricity. We use it every day in so many way yet we don't really think about it. The other day our electricity went out around 5pm. I was on the computer and all of a sudden everything went dark except for my laptop screen because it had battery power. I shut off the computer to see what was going on. After all, even though the laptop still worked, the modem uses electricity so the internet would not work anyway. I quickly discovered how many things in my house actually depend on electricity. Of course we know the lights don't work. Everything was extra dark. I usually have these 24 hour night lights for the dark areas and those were out with the rest of the lights. All the digital clocks went out. I had my cell phone as the only way to tell the time. I checked the battery life on the phone. It needed a charge but of course that wasn't going to happen. My usual forms of entertainment and connection to the outside world, the computer and tv were out of commission. I wanted to do some exercise but it was so dark it did not seem like a good idea. It felt like it was time to go to bed but it was still early and I needed to make dinner. That posed another challenge. The refrigerator runs on electricity and I knew that by opening it, it would lose valuable cold air and who knows how long the power would be out. I decided to keep it closed until I really needed something from inside. I use the microwave quite often, but of course that was no longer an option. I had a choice of some dry unrefrigerated food like chips but that was about it. With it being so dark, I decided to try lighting some candles. I had actually collected some candles in the past for moments just like this, so I had to give them a try. I found the matches and lit the candles. I managed to get two lit. I had another but I wanted to conserve the matches because there were not that many left. I tried to light the 3rd candle with the others but ended up just making a mess with the wax and burning the side of one of the candles. 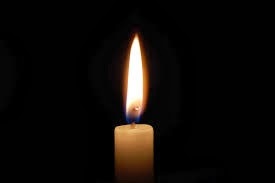 So with the candles lit, I just relaxed and tried to figure out if the power would be back soon. I heard the neighbors mention that is was an issue with the electrical company. Who knew when it would be fixed? You hear those stories on the news about towns going for days without power. After about an hour, all of a sudden the lights when back on! Power was back! It was so nice to have everything back to normal. Even though the power was only out for a short time, it was a good exercise in realizing how important electricity is to our every day lives.